Q. Is there a way to save a list of search results in WorldCat? I'm trying to compile a list of books on 'leadership and character' and put them in a folder for later access; how can I do this? 6. 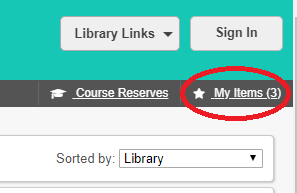 Once you add records to a new list, or existing list, those records will no longer be visible in your "my items" folder. 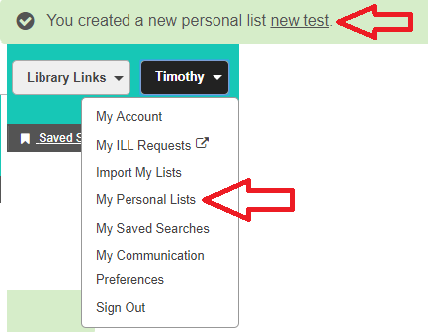 To view them in their list, you can either click the provided link directly to your new/ existing list, or you can click your username in the top right corner and select "my personal lists" from the drop down menu to display all saved lists.